Please be advised that our guestrooms featuring two beds cannot accommodate rollaway beds due to fire and safety hazards.. This Property is 100Pct. Non-Smoking. The Hampton Inn Anderson hotel is located by Lake Hartwell near Clemson University and major industries in South Carolina. It is also near Belton Honeapath Pendelton Williamston and Easley. Hotel amenities include complimentary continental breakfast hair dryer iron gym and TV with cable. The Hampton Inn Anderson also offers connecting rooms local calls and cribs. Two-room suites are also available at our hotel. Meeting/banquet facilities audio visual equipment and rollaway beds are available for a nominal fee. 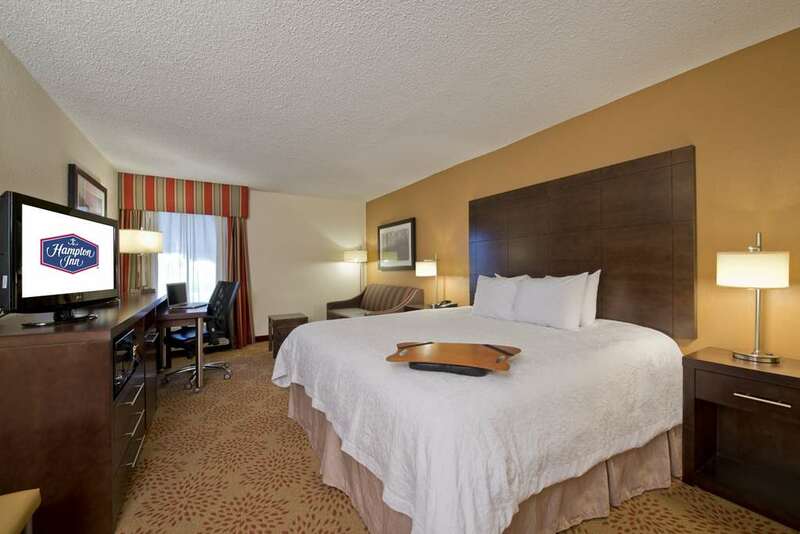 We love having you here at the Hampton Inn Anderson hotel in South Carolina.